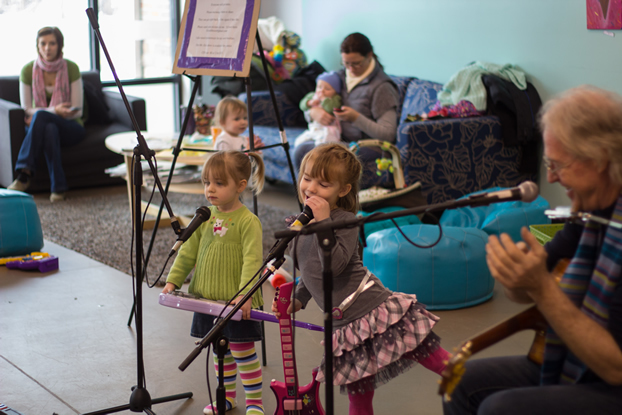 The 35 – 40 minute set is designed to involve kids ages 2-6 in fun kids folk songs such as Down by The Bay, Old McDonald, Wheels On The Bus, Five Lil Monkeys and You Are My Sunshine. Shakers and tambourines are utilized to develop rhythm skills. Two mics are set up at two to three foot heights for the kids vocals. I recruit children from the audience who come up to sing at the mics. This introduces them to performing in front of others. I bring all the sound equipment and rhythm instruments. I have a special introductory offer of $110 for a 35 to 40 minute set. This would be for a group of 25 or less children, $75. for each additional set the same visit, back to back. I can e-mail you MP3 files of some songs upon request along with references. 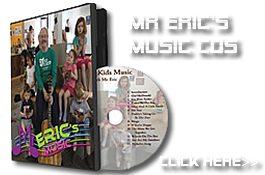 Your group will receive a free Mr. Eric CD just for scheduling a show! Repetition is important for learning and familiarity is good to overcome shyness. 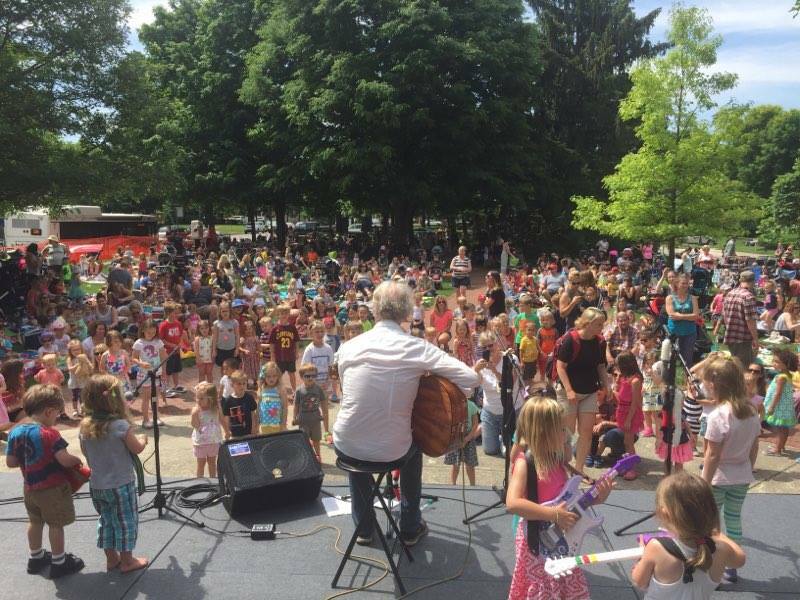 Together with Mr. Eric’s music shows many parents have said it has built confidence in their kids. 4 week program -$400. One 40 min session per week add $65 for each additional back to back session. Week 1. Music, recycled items made into rhythm instruments. Week 2. Music, learning about microphone, volume and sharing. Week 3. Music, incorporating rhythm with music and singing. Week 4. Music, stage placement, mic, rhythm, sharing and manners. 6 week program – $580. Same as 4 week plus 2 more parent shows. Add $65 for each additional back to back session. Includes mic set up for kids to join in and recycled rhythm making. Mr. Eric is all over this Spring and Summer?